The very best tools to bring to the trailhead and take with you in your pack. Are you the type of rider that likes to prepare for anything? 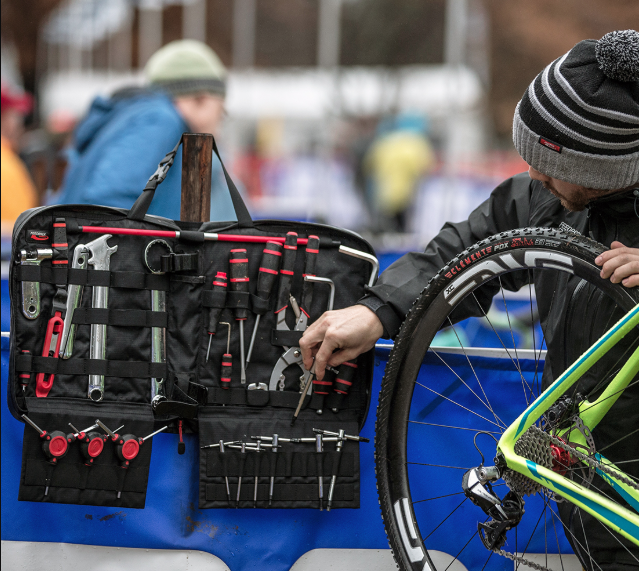 Do you like to help out on group rides and operate as your ride’s defacto mechanic? Well, don’t just grab a duffle of random tools – you need to know what kind of procedures you’re prepping for and why. For most of us, this means a carefully curated kit of tools from years of parking lot or trailside repairs. What if you don’t want to search out each individual tool you need and prefer to get it all done at once? We’ve gathered a list of the best tools for the trailhead and your pack – so you can take only the necessities and leave room for a recovery beer (or protein shake). So clear out your old bag and get ready for the best tools for the trailhead and pack. These are the tools for the mobile shop, the rider that loves to switch a cassette minutes before the group ride or help out when someone needs a hand. Honestly, you never know what can happen on a journey and having a tool kit with all the essentials can be a lifesaver. These are the best tool kits with the leanest offerings to keep your truck space plentiful and minimize pack-up time. The Team Edition Portable Tool Kit is the kit you bring when anything can happen (arguably all the time). 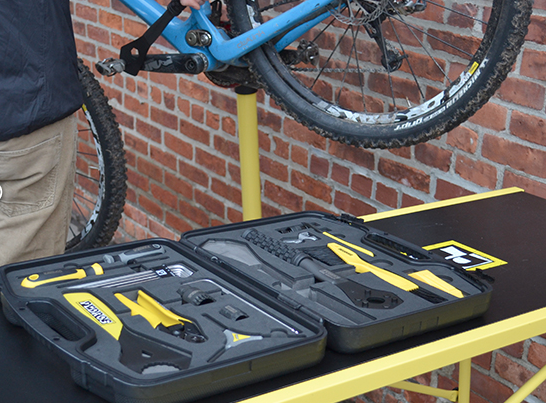 The Team Edition portable comes with nearly everything you need to service a bike car-side. 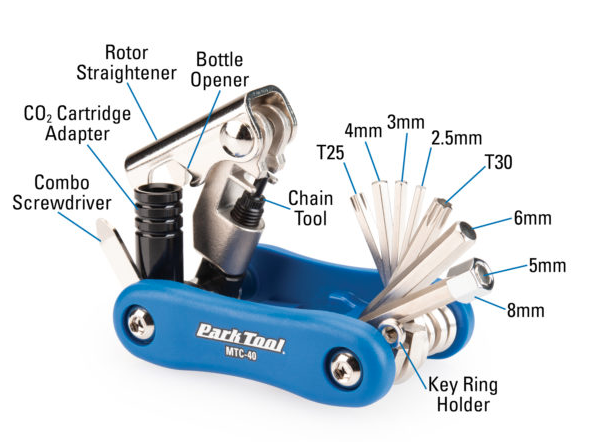 Developed with input from Tour de France, Enduro World Cup, and World Cup Downhill mechanics, the ultralight and compact footprint offers 25 of the most common bike repair and maintenance features – 25 functions from 19 bicycle-specific tools. Feedbacks Team Edition comes in a water and beer proof TPU-coated case, stores away efficiently and is resistant to greases and oils. Weighing in at a respectable At 9.8lbs (4.5kg) the Team Edition is built to travel. The zip-up case also has room for your tool collection to grow in case you need something specific for the day or wish to expand. The perfect companion for an aspiring mechanic or a seasoned one that needs dedicated kit for the car and trailhead. Our favorite piece in this kit is hands down the rotor truing tool, ergonomically friendly and built to last. Park Tool knows its way around a tool kit and the AK-3 is a shining example of a lean package of tools to get the job done. The AK-3 (Advanced Mechanic Tool Kit) is designed specifically for the home mechanic, a hand-picked collection of Park Tools, all housed in a sturdy tool box for ease of storage and travel. The AK-3 includes over 40 tools to work on a wide variety of bikes and components. If you are a Park Tool fan, you know that you can never have enough blue on your bench and the AK-3 gives you a chance to bring your favorite shop tools on the road with you. The kit includes everything you need to perform serious repairs with tools that you are familiar with. The toolbox is a great add-on and comes near fully packed, but you can still add some of your kits from home to make it perfect. Our favorite piece in this kit is the master link pliers, something that every bike rider should have in their toolbox. Inspired by Pedro’s Master Tool Kit, the Apprentice Tool Kit offers 22 handpicked professional tools enclosed in high quality, blow-molded hard case. This ultra-portable tool kit leverages the versatility of Pedro’s hand tools to provide 32 functions covering a considerable range of repairs and component installs. The Apprentice Tool Kit is an excellent option for the professional or the aspiring wrench with World Tour tubular gluing dreams. Each tool has its custom-designed tool location cut into the EVA foam, keeping the kit organized and your tools easy to find. Designed for easy transport and efficient storage, the Apprentice Tool Kit is perfect for the car, taking to events, or a minimalist home shop setup. Backed by Pedro’s lifetime warranty. Our favorite piece in this kit is the L-Wrench set; they have just the right amount of leverage and look great on the bench when not in use. For those looking for the most bang for the buck, look no further than the Foundation 748. 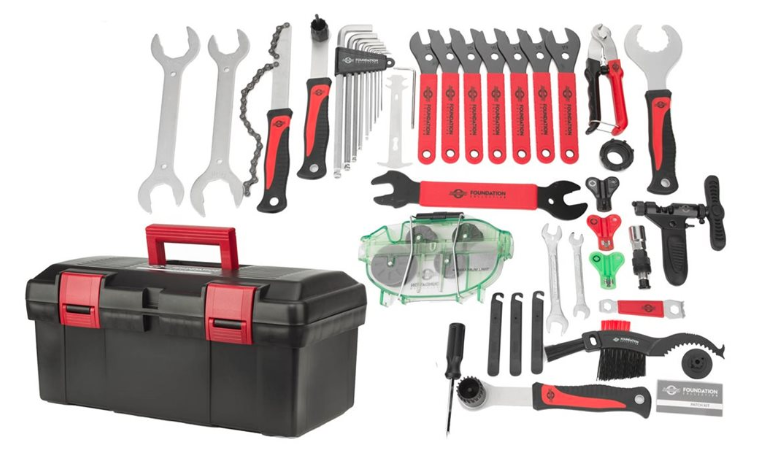 Coming in around $100.00 this kit features tools ranging from basic maintenance to component specific tools that every mechanic should own. Whether you’re a self-supported racer or like to help your fellow riders in need, the Foundation 748 Bike can supply. The 748 tool kit arrives in a durable toolbox that allows for quick pack up and easy traveling. Our favorite piece in this kit has to be the chain breaker, super beefed up handle and adaptable from 9-12 speed chains alike – very cool. So you’ve made it to the trail, and you’re ready to rip – but what if you or your ride companions experience a mechanical mishap? Do you feel prepared to take it on and not have the walk of shame out of the trails? 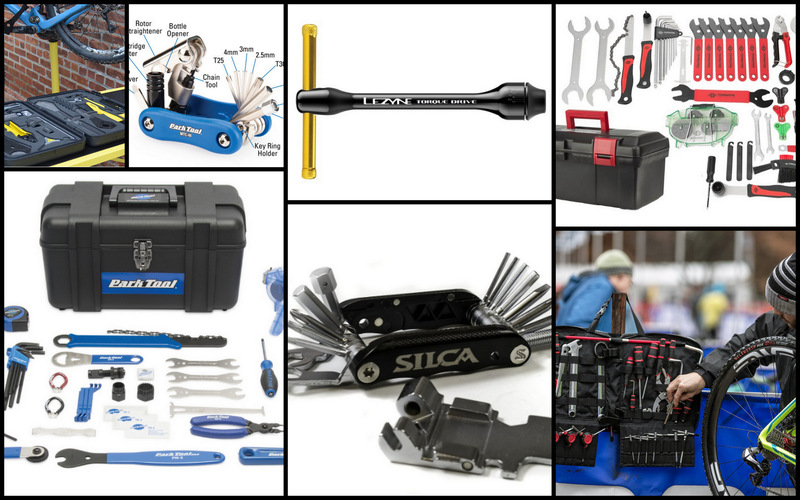 These multi-tools are dialed in, ready to help you solve nearly every trailside repair that you come across – from a snapped chain to a broken spoke and more. The only problem that these tools can’t help you with is bonking, so eat up! 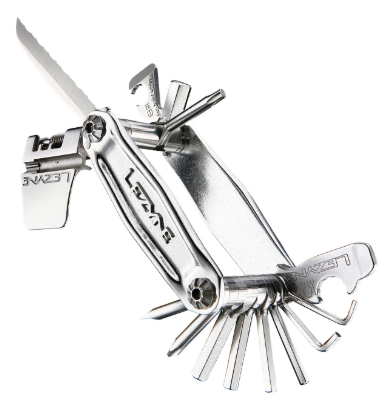 Classy, shiny, functional and durable – the multi-tools from Lezyne will keep you on the road or trail with peace of mind that you can repair a quick problem in a jiffy. The Stainless-20 Tool, in true Lezyne fashion, is crafted from forged aluminum side plates and looks more like jewelry than tools. The tool itself is friendly to the hand, and the bits are easy to use in tight spaces. Fastened together with stainless steel hardware the Stainless-20 won’t rust in your jersey pocket or your hydration pack. Our favorite feature on the Stainless-20 has to be the chain breaker, spoke wrenches, pad press – It offers substantial movement with for the pin and the wrenches and press aren’t noticeable until you need them. An excellent tool for those who like their metal shiny, functional, and lightweight at 150 grams. The Silca name is synonymous with craftsmanship and old-world appeal. The Italian Army Knife has the old world look that Silca is known for but can fix all the new fangled gear on a 12-speed drive train. Italian for ‘Twenty’ the Venti packs 20 high precision, hardened steel tools into a compact space through a unique layout and design. The unique magnetic slide-lock design of the Venti chain tool allows it to be more than twice as long as other designs for improved ergonomics when in use, and can be completely removed from the tool. The tool itself has a hatched grip on the outside to aid against slippage all the tools, coated with Silcas high-grip chrome plating which is said to provide better torque transfer at the bolt interface. Our favorite feature of this tool is the side plates that hold a secret magnetic storage feature for a spare master link, something that you never think about until it’s too late. 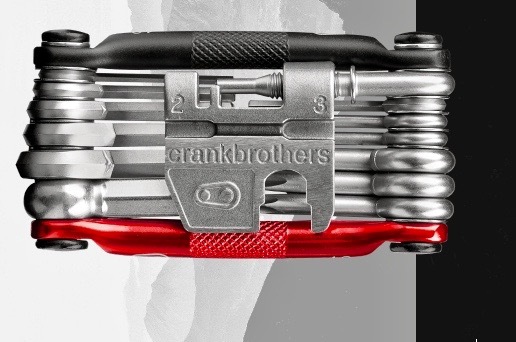 I know where I’d be without my first Crankbrothers multitool – Walking home, instead of continuing my ride. My first real multitool was a Crankbros tool, and I’ve been a fan ever since. The M19 is perfect for newbies and seasoned veterans alike. Weighing in at 175 grams and housing 19 different tools – the M19 is an excellent trail companion. 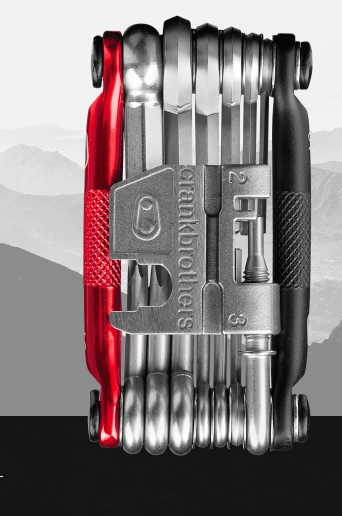 All tools fold inward along with the chain breaker keeping the M19 pocket and pack friendly. The side grips for a secure handhold even with gloves on and each tool is coated against rust and wear. Our favorite piece on the M19 has to be the #1 and #2 screwdrivers. I can attest – you never know when you are going to need a super small flat head to pry something out of your shoe or drivetrain – Plus the lifetime warranty is a substantial perk. The new MTC-40 from Park Tool features a ton of tools that you usually wouldn’t find in a multitool. The MTC-40 comes equipped with all the tools required to perform the classic trailside repairs and some. Like a rotor straightener and a CO2 cartridge inflator adaptor – two huge things if you’ve ever need to use them in the field. Weighing in a 217g, it’s one of the heavier tools on the list but is also the only one with a rotor tool and a CO2 inflator – Which is no doubt my favorite piece of the MTC-40, hands down. Now that everything – including our wheels and saddles are carbon, we as riders need to respect the torque values they require. Now, it used to be “tighten till it makes a crack sound – then back it off a half turn,” but that doesn’t cut it. Roughly 70% of damage to high-end carbon components; seat posts, handlebars, and stems happen trailside while making adjustments without knowledge of the force at hand. For those who pay for the carbon performance, you want to make sure your investment lasts and a no better way than with a proper torque wrench. These wrenches are designed to get your parts up to spec without bringing the deflection beam in your pack with you. So start sharpening up on your newton meter to inch pounds conversions and get ready to torque. 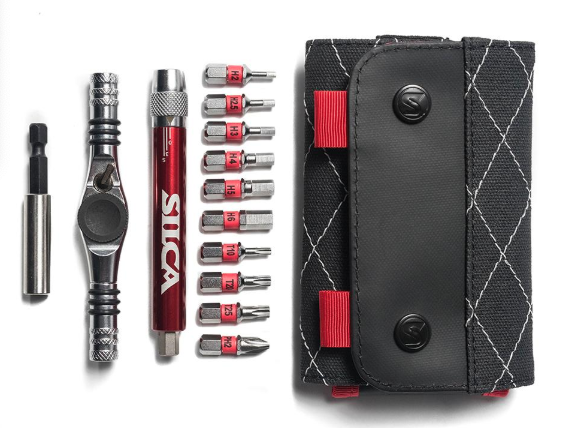 The Slica T-Ratchet + Ti-Torque is for those who like to have their components properly torqued and look good while doing it. The T-Ratchet + Ti-Torque combine two highly versatile tools to form a powerful force for good mechanics. When you think of a torque wrench, you think of a long leverage tool that can do apply some crankarm tightening power. Adversely with most components on your bike (stem, seatpost collar, etc.) the maximum torque you’ll find is around 4-8 nm. The T-Ratchet + Ti-Torque solve these problems by delivering a highly ergonomic tool with a torque measuring extender that provides real-time feedback to the torque you are tightening too. The Ti-Torque beam has three separate scales on it, 2-6, 3-5 and 4-8, which to allow you to see when you’ve reached your desired torque setting more easily. Simply locate which scale you want to use, begin tightening the fastener and watch as the scale shows you how much torque is applied. No presets or adjustments required. My favorite feature on the T-Ratchet + Ti-Torque(besides the 30-gram weight) is the fact it breaks down into a super cool Silica Duck waxed canvas carrying case. The case measures 120mm x 70mm x 30mm which means it will quickly disappear into a jersey pocket and hydration pack. All the polished alloy you could want and all the torque that is needed. 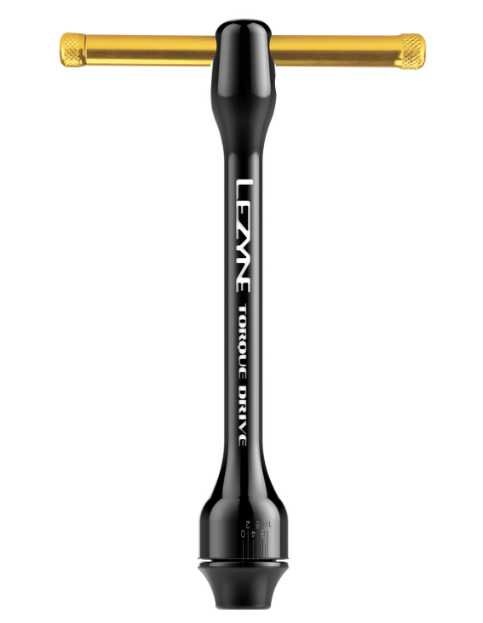 The Lezyne Torque Drive is ergonomically friendly and is sure to turn heads when you need to use it out on the trail. The body is of the tool is fully machined alloy with a removable handle and magnet to keep all your tool bits in place. The Torque Drive takes care of all bolts with a generous 2Nm – 10Nm torque capacity. Besides the unique and eye-catching look of this tool, one of our favorite features is the carrying case – a soft shell robust design with storage cutouts to keep the tool all in place. If you manufacture some of the lightest and stiffest carbon bars out there, you better have a tool to make sure riders don’t or tighten them. That’s precisely what Ritchey did when they created the Torqkey. 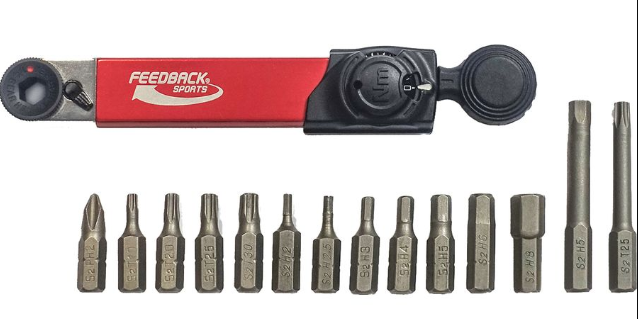 Unlike the adjustable tools in the list, the Ritchey Torqkey is preset 5Nm torque and includes 3, 4, and 5mm hex keys, a T20, T25, and Phillips #1 bit. If you have stems that require this correct torque (which is about 80% out there) I recommend the Torqkey for sure. The tool has a magnetic slot that keeps all bits in place and is truly effortless to use – attached merely the desired fitting, torque and the key will snap – like a convention torque wrench. This tool is great for changing your position on the fly or dialing in a new fit. Our favorite use for the Ritchey Torqkey is installing rotors bolts. Precision and confidence are what you’ll feel when you grab the Torque Ratchet combo. Its compact in size and includes a padded case make it easy to fit in the toolbox for travel or atop your home workbench ready for use. The aluminum body ratchet receives the signature Feedback Sports red anodization and super easy to use. Just install the desired bit, fit it into the fastener, and apply pressure to the Torque Knob at the end of the wrench. You receive a reading between 2 and 10Nm on the marked dial to let you know when the proper torque is achieved. The Range includes 14 commonly used Hex, Torx, and Phillips bits, and contains two extended bits for harder to reach fasteners like seat posts and internal bolts. The bits are made of durable S2 steel, and each one is stamped with their size and has its spot in the protective case. The entire case fits in the palm of your hand and pretty much gives you zero excuses for not knowing the torque of every component you install. Perfect for the mechanic that has everything and likes to be sure that their parts are at the correct torque. The entire tool fits in the palm of your hand and pretty much gives you zero excuses for not knowing the torque of every component you install. 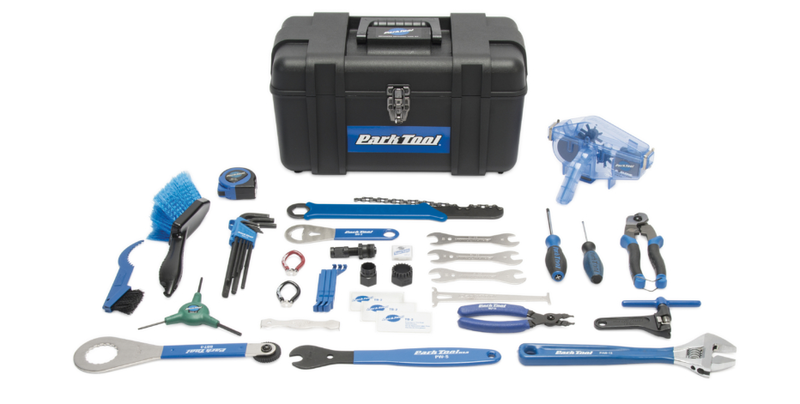 Coming in around $100.00 this kit features tools ranging from basic maintenance to component specific tools that every mechanic should own. An excellent tool for those who like their metal shiny, functional, and lightweight at 150 grams. The new MTC-40 from Park Tool features a ton of tools that you usually wouldn’t find in a multitool. The Apprentice Tool Kit is an excellent option for the professional or the aspiring wrench with World Tour tubular gluing dreams. 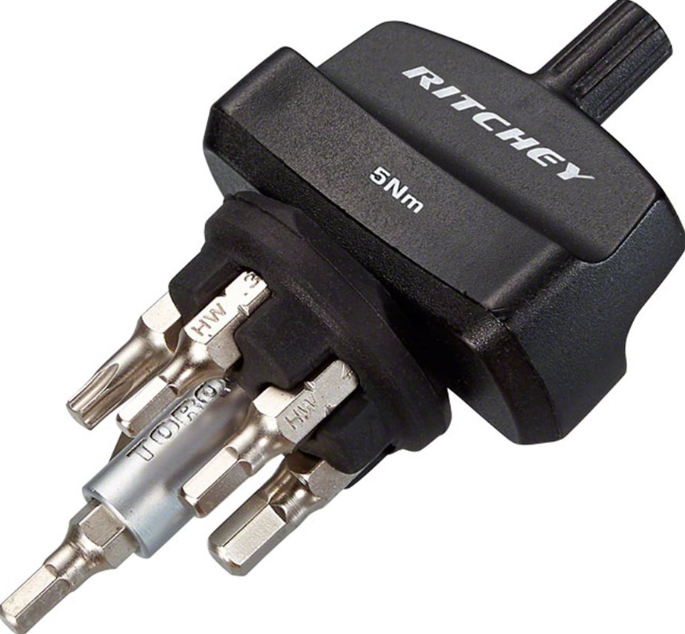 Unlike the adjustable tools in the list, the Ritchey Torqkey is preset 5Nm torque and includes 3, 4, and 5mm hex keys, a T20, T25, and Phillips #1 bit. 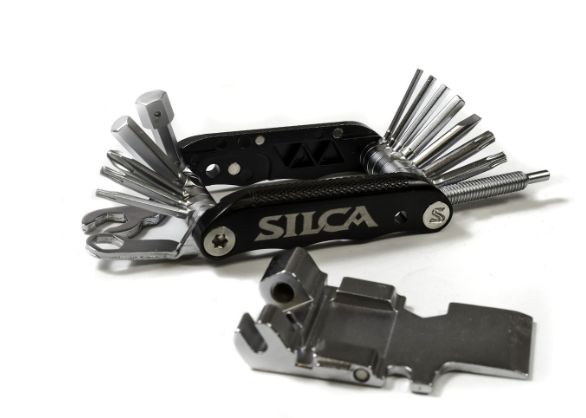 The Italian Army Knife has the old world look that Silca is known for but can fix all the new fangled gear on a 12-speed drive train. Weighing in at 175 grams and housing 19 different tools – the M19 is an excellent trail companion. 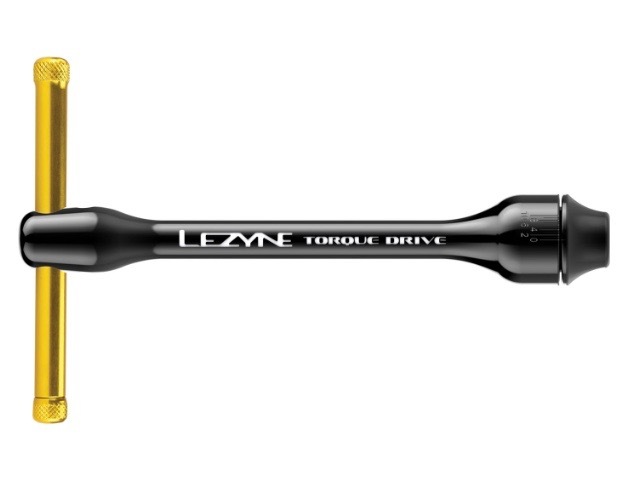 The Lezyne Torque Drive: All the polished alloy you could want and all the torque that is needed. The T-Ratchet + Ti-Torque combine two highly versatile tools to form a powerful force for good mechanics. The very best tools to bring to the trailhead and in you pack.